Travel to the USA is an opportunity to see the entire world in just one country. In this amazingly diverse place, a melting pot of culture, landscapes and thrilling cities can be found. Climates vary from desert to tropics to arctic, with everything in between, making this the ideal country to explore on vacation. With a country so vast, it’s impossible to visit every destination; but there are some places, however, that everyone should see, and things everyone should do before they die, and the US is one of the best places to do and see them all. ‘What happens in Vegas stays in Vegas’ is a popular saying, but you won’t want to leave the memories behind when leaving Las Vegas, Nevada. 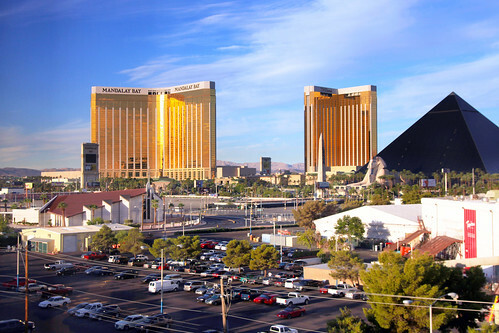 Wild, wonderful and over-the-top, Las Vegas is one of the most popular destinations in the world for its variety of excitement, entertainment and attractions. Feel like a visit to a tropical island in the city of casinos? Mandalay Bay offers a 1.6 million-gallon aquarium stocked with sharks that have never walked the Strip. Intrepid visitors with a SCUBA certificate can even dive with the sharks, perhaps risking the loss of more than just their money at the tables. Those that prefer to stay around less intimidating “guests” can head to the Flamingo Las Vegas and gawk at the many species that inhabit their aquatic wildlife habitat, highlighted by their flock of Chilean flamingos of course. The HGVC Flamingo suites (which are actually timeshares) are also located here and can be rented at really affordable rates online. Rather stay high and dry? Take a day trip and marvel over the majesty of the Grand Canyon. Las Vegas may be one of the wildest cities in the world, but New York is the city that never sleeps. 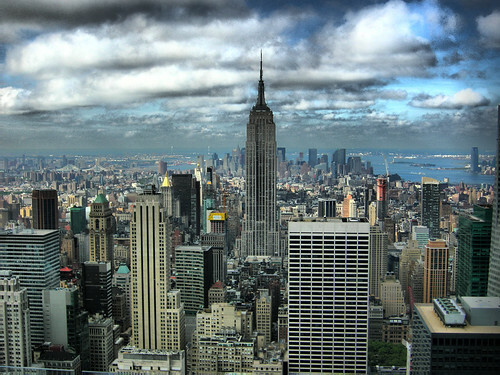 The Big Apple is the place to go for world-famous Broadway shows, restaurants and opportunities to shop at some of the most exclusive, and expensive, boutiques in the world. Dizzyingly tall modern buildings surround older architecture that nestles bravely between the skyscrapers, creating a fascinating blend of old and new. When you’ve had enough of the city’s hustle and bustle, head out into the Hudson Valley and explore the lush green rolling hills and charming vineyards of wine country. Visit wineries for tastings, toasts and some of the finest food New York has to offer. Vast expanses of sparkling white sand, clear, warm, azure waters, friendly natives and luxurious resorts bring to mind a tropical paradise. 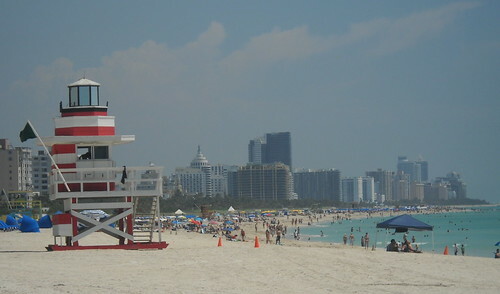 Miami attracts millions of visitors every year for its warm, lazy days, shopping, nightclubs, culture and glamor. South Beach is known for its annual wine festival, while music lovers will flock to the Winter Music Conference. Museums, historic architecture, and breathtaking scenery make Miami a must-visit destination. 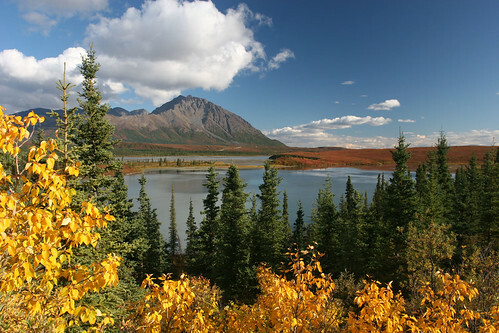 Further north and decidedly more rugged, Alaska is truly one of the final frontiers. Wild and wooly, with days that last for months at a time, Alaska offers the intrepid traveler chances to fish, hunt, or just hike the wilderness. Photography buffs, skiers and hikers will find Alaska enchanting. The comfort-seeker may want to consider a cruise of Alaska instead, to enjoy both the benefits of a luxury vacation and brief excursions onto the mainland to explore Alaska’s natural beauty. With the Northern Lights shining their eerie beauty over the breathtaking beauty of its vast landscapes, Alaska is the stunning crown jewel of the United States. Yup wouldn’t mind going to all of these! NY and Washington have been on my list for ever but I never seem to quite get to the US – blame the high airfares over the Pacific! @Lissie, I know what you mean..New Zealand would be my choice place to live from all the countries I visited, but.. It has big and main cons – air fare. If you don’t like to travel it is not an issue, but otherwise it is such big problem. Yay I am near Miami, boo I am very far from every other place. Elise, may be Alaska a little bit further, but NYC it is just one hour flight away, LV – 2-3 hours? Thanks for introducing the travelling places in USA. I also have planned to visit USA but not this year.